At first glance; a sea of lights - until you recognise streets, squares, parks and the very own character and magic of a city. 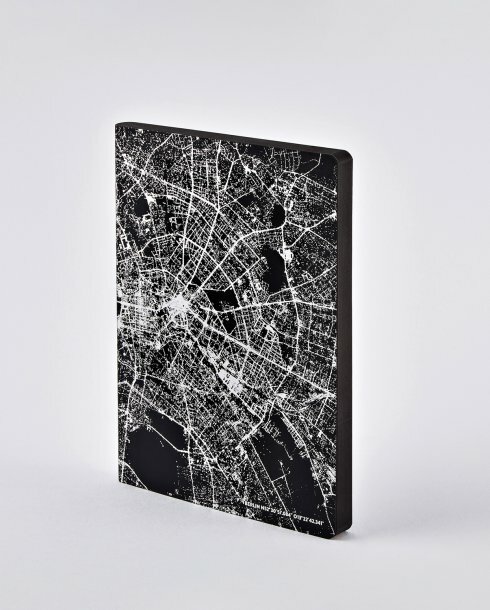 A fascinating notebook for city nomads and urbanists, that will never get boring. Elaborated silk screen printing in copper metallic on matt black Smooth Bonded Leather with a slimmer and lighter book block than our Graphic L series.